If you are worried that someone is able to see your chats on WhatsApp, or have a tendency to leave your phone in an area where someone could read pop up notifications on your phone, Kibo might be the application for you. While there are always ways of turning off notifications, Kibo allows you to send secret messages and completely hide conversations that you don’t want others to possibly see. In fact, it was completely designed for hiding sensitive information and messages from those that are a bit too nosy. The simplistic app is little more than a keyboard, but you can interface through WhatsApp and other top messaging services like Facebook Messenger, iMessage, Skype and more. Utilizing a simple trick, you can replace messages that you send in private with generic preset phrases, which will shield what you actually had sent completely. You should be aware that now, more than ever, apps are being created simply to spy on WhatsApp. To put it plainly, Kibo is a keyboard which allows you to hide real messages behind fake presets. You can disguise notifications on the screen as well, even with the keyboard locked. This brings about an era of privacy and security the likes instant messaging users have never seen before. This doesn’t discredit the measures of security put in place by WhatsApp developers, but this is certainly a great stride in the right direction. The first thing you have to do, naturally, is to download the application and install it. Currently, the application is only available for iPhones (on this page), but the Android version will be released soon. As soon as it is released, there will be a link here similar to the one for iOS users above. Once you have downloaded, the next step is adding the Kibo keyboard to your phone. First, open WhatsApp and type the message you want to hide using Kibo. Next to the space button, tap on the lock icon. You can see a picture of what that looks like below. Once you have selected the lock icon, your message will be replaced in the thread with a vanilla message. This text can be modified to statements of your choosing. Once you have done this, just tap on “Send”. When this happens, the fake message will be seen by others that happen to see your phone or chat open, but the recipient will get the real message. This process is not just for text messages though, you can also send images this way. Copy the message that you have received to the clipboard of your phone. Double or long tap the visible message that shows up. If there is anything hidden in the text, you can see it through a pop up provided by the Kibo keyboard. 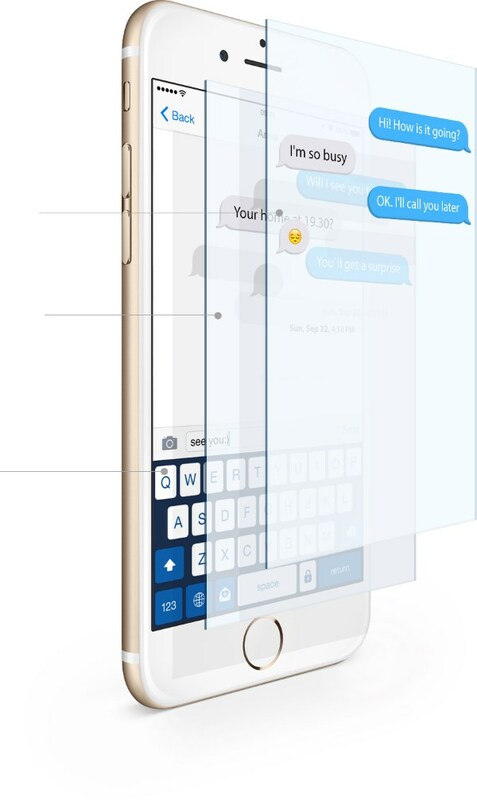 Now there is literally nothing to worry about when it comes to texting even sensitive information to other people. Everything looks like plain vanilla messages of little importance. In order to send and receive these hidden messages to someone else, both parties need to have Kibo installed on their phones. 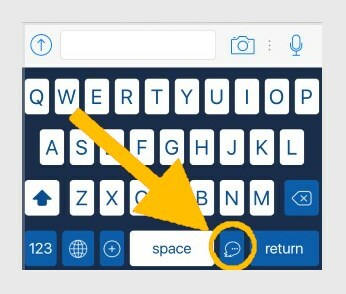 You can invite them to download the keyboard from the app or keyboard. 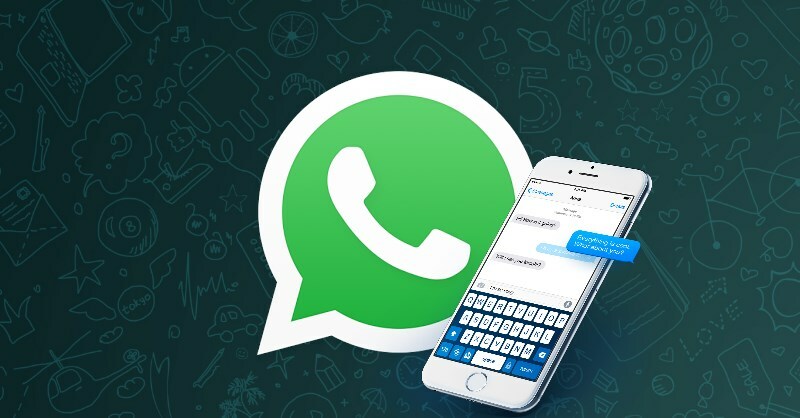 Currently, the app is limited to sending a hidden message to one solitary recipient in WhatsApp or any other major messaging application. The app is not perfect and will take a while to work out all of the kinks to be really spectacular. Be mindful to follow the advice and guidelines of the developers. If you are interested in keeping your messages and content secret, hopefully this introduction to Kibo helped you out. If you have questions about this application or how to use it, feel free to drop a comment below so we can get back to you. Hello..i hope u can explain. When using WA on the web, if u have a person qued/ highlighted, there is a banner that shows the persons name and If you are avtive or someone else is messaging u, the banner shows that highlighted persons last seen. The last seen portion disappears after about 10 mins of no activity on anyones part and only the name remains. This happens without fail each time there is activity on the account. Now the bigggg question. There are times when the banner shows a time stamp of highlighted person, even when the WA user isnt showing online and when no one is obvious in sending a message to the owner. It just appears and then disappears. I was thinking the causes may be…1 secret messages are being transpired but dont show up on the chat log. 2. A WA phone call is taking place by the owner and another user but it doesnt show up on the chat log. 3. Another app like FB or Instagram is being used on the phone and somehow activates the Banner with last seen while, still showing all parties inactive. What do u think of all three options. If not those then what is activating the banner as if the owner is online but instead only showing last seen? Is there a way to send messages without it showing on the web chat log? And, is there a way the owner can see if they have an incoming call when using the web only and cell is in another room?